Helen worked as a Key Stage 2 teacher at the largest junior school in Europe for twenty years. For many of these she was Head of English with special responsibility for Talented and Gifted provision. 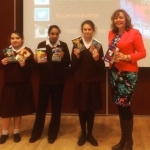 Her fiction series SECRET BREAKERS was launched in 2012 by Hodder Children’s Books. This series is aimed at readers aged 8 plus. She is very excited to see the launch of her second series RIVER OF INK in 2016. This series is aimed at readers aged 10 plus. She will happily visit schools giving talks and workshops based on both series across both Key Stage 2 and Key Stage 3. As code cracking is integral to the plot of SECRET BREAKERS, and symbols form the basis for discovery in RIVER OF INK, this session looks at code cracking challenges throughout history and how symbols are used to hide information. Interactive activities using British Sign Language and Makaton are used and reference is made to symbols in art and architecture, as well as hiding information in code. A real ‘hands on’ session! Using a range of artefacts as stimulus as well as real stories and characters from history, Helen looks at how authors combine fact with fiction in their writing. Reference will be made to the real characters and locations used in both SECRET BREAKERS and RIVER OF INK. Pupils will be encouraged to make their own story suggestions and work on ideas that can be developed afterwards back in the classroom, or as home learning. As River of Ink centres around the idea of a boy who has no memory of who he is, this workshop explores the idea of making sense of who we are using clues from belongings and possessions. 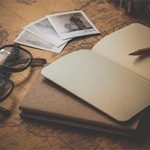 Using deductive skills (rather like Sherlock Holmes) attendees will be invited in this interactive session to explore various artefacts from a suitcase and draw up a profile for a mystery character. This workshop could be used as a creative writing stimulus for future pupil work. It also develops links made to history and science skills when looking for information. 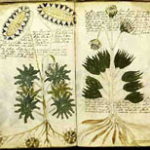 This session looks at the history of alchemy and stories written about seeking the elixir of life. It focuses on the international quest of the pursuit to live forever, exploring the idea of alchemy versus science as well as the idea of eternal life being either a blessing or a curse. This is an ideal workshop for students wanting to discuss and debate ‘big ideas’ and how we find these ideas explored in fiction. Dante’s deafness in RIVER OF INK leads to sign language being used to help save the hero of the story! The inclusion of disabled people as complete characters in stories and not as token add-ons is an area ripe for discussion. This session looks at the idea of including all types of character in fiction and asks readers to think about the value of stories to help us learn about worlds that are not our own. All the sessions are tailored to make reference to appropriate curriculum links across key stage 2 or key stage 3. Helen is willing to discuss individual school needs, so do make suggestions about what you would like covered. She is also willing to run sessions for parents about the importance of reading and ways to develop the reading habit. 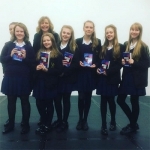 Authors Aloud help arrange the logistics of the visit, timing and travel and help make links with book-suppliers to provide stock for pupils and students to have the chance to buy. (It is expected that all events are supported by the opportunity for book sales). 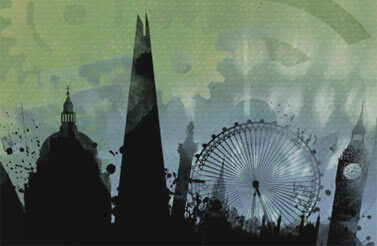 Authors Aloud UK will streamline the whole process of booking by handling all the set up arrangements. Their fee is included in the invoice sent to you after the visit to limit unnecessary paperwork. To give you an overview of what is possible see Helen’s ‘School’s Event Leaflet (PDF). This should let you know about the sorts of things that are possible to arrange…but Helen is always keen to be inventive so if your school has a particular need…then do let her know!